Selective Creation: Build the Best 3DS Lineup! Its time to finish off the LAST of the handheld systems! Now let's build for the 3DS. Here's the breakdown: You've been given the power to green-light 25 games, but here's the catch: these 25 games will be the ONLY 3DS games EVER. What should be the games that make the cut? By giving 25 select titles, you are essentially playing an inverse of Kill Your Babies. You can only give one title until four people have added after you OR 12 hours have passed since the last overall addition, NOT NECESSARILY YOURS, so think really hard about which game should be on the list. It could be your favorite game, or if your favorite is already present, then you can add another you hold dear. Or if you don't like/own the 3DS, get to trolling if it makes you happy. And so Allies, what are the definitive 25 best 3DS games? Do we do bullet points in these? The Japanese name is cooler, just go with it. Pokemon seems a little better again after the latest installment. only games anyone needs obviously. One of the few games on the system that absolutely crush it with the 3D features. Also just an overall solid platformer. 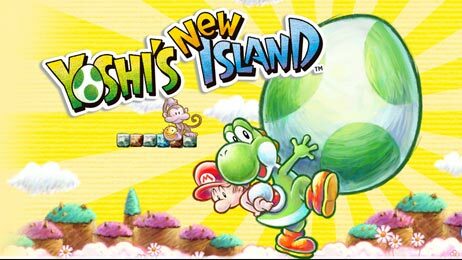 Wait, did @Yoshi actually vote for a game? Which of the two should we count? I have to, and I essentially bought a 3DS for this game, it's not the greatest, but the gameplay is fun, and if you don't take the story seriously and just enjoy it as a mix up of P3 and P4 characters it is pretty enjoyable. The last dungeon is absolute BS though. Fun mix of solitaire and horse racing on the eshop. Deserves more love. Easily one of the most compelling JRPGs on the 3DS. @Axel No and neither. The rules need to be followed until a game is recognized. So don't sweat it. Haven't played it yet, but from what I've heard, it's really great if you're fan of the series, which I am. This and Pokemon are the two games I always feel tempted to buy 3DS for, but so far I haven't done that. I will more than likely at some point, but as of now, the budget says NOPE. Not a perfect game, but it had so much charm, so much content, so much Sakurai love poured into it! Oh hi there Nintendo list I can't contribute to! Spiritual successor to Guardian Heroes, which is objectively the best game ever made. A 3DS list would not be complete without it. Period. Underwater combat is great with and without a second analogue stick, and Capcom built the game to accommodate the New 3DS' new buttons. Moreover, the game isn't really about underwater combat mostly. The monsters are just some of the best bosses in gaming generally. Barroth teaches you how to learn tells.